There was this weird wet stuff falling from the sky this morning. I think something might be broken somewhere! A cool, cloudy morning is sure nice for a change. 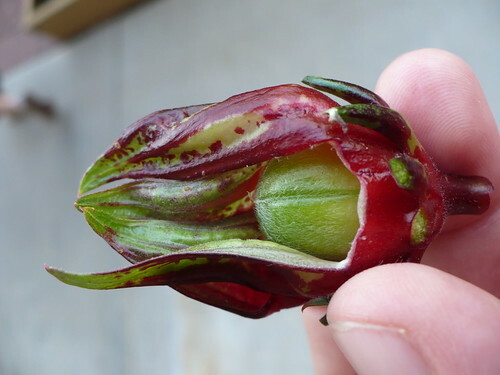 I did a little bit of quick research to determine at what point we are supposed to start harvesting the Roselle (hibiscus) to use for teas, drinks, cooking, etc. Come to find out, we are actually supposed to use the calyx AND the ripened fruit. 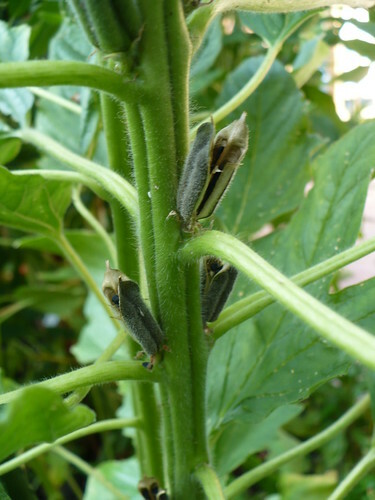 Here you can see the stage we are at right now with the calyxes turning more and more pink, but the fruit/seed pod is still very green. It should be bright pink/red when it is ready to use. I guess we’ll be waiting a little longer for our hibiscus drinks. I showed you our cup of harvested black sesame earlier this week, but I thought you might like to see what it looks like on the plants. I think it is interesting that the pods get so small and insignificant when they dry, and also that they open like they do! Normally one of the improvements that we breed for in seed or grain crops is the “non-shattering” characteristic that keeps the seeds firmly attached or enclosed through harvest. I haven’t posted many herb pictures this year, because most of the herbs were just struggling to get well established in the heat. 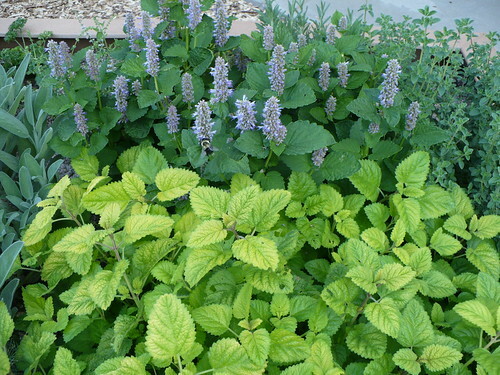 This is in the perennial herb garden, and you can see that the Lemon Balm and the Anise Hyssop have finally filled in to the point that they are looking really nice next to each other. On the edges you can just see the sage and thyme that are also looking pretty good. These are the lettuce seedlings that we planted on August 7th. They have grown very fast! We will be transplanting them on Tuesday, providing all goes well. 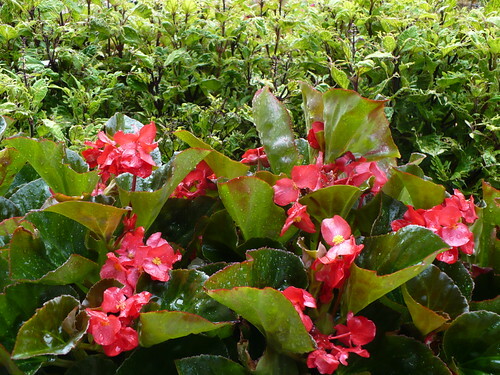 The begonias and coleus in the Prairie Star Annual trial weren’t looking bad for most of the summer, but they weren’t spectacular. After a couple weeks of not-quite-so-hot weather, they are looking really nice! 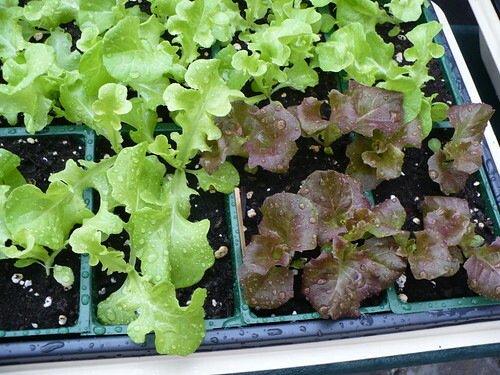 Posted on August 24, 2012, in PhotoEssays and tagged fall, fall garden, flowers, herbs, lettuce, seed starting, seedlings, sesame. Bookmark the permalink. Leave a comment.